Assuming you're just like me -- a craft hoarder as much as a crafter -- you're always looking for a sweet technique for organizing your papercrafting supplies. 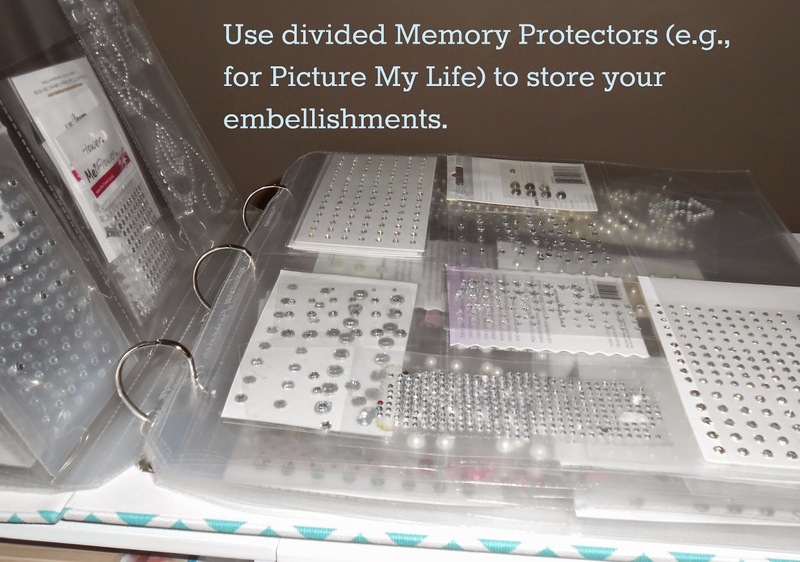 Today, I am going to show you one way that I organize my bling/gems. I have adhesive bling in every color, shape and size. Some are rhinestone or clear, some are pearlescent. I have taken one of Close To My Heart's gorgeous new D-Ring Albums and I have dedicated it to storing my bling. 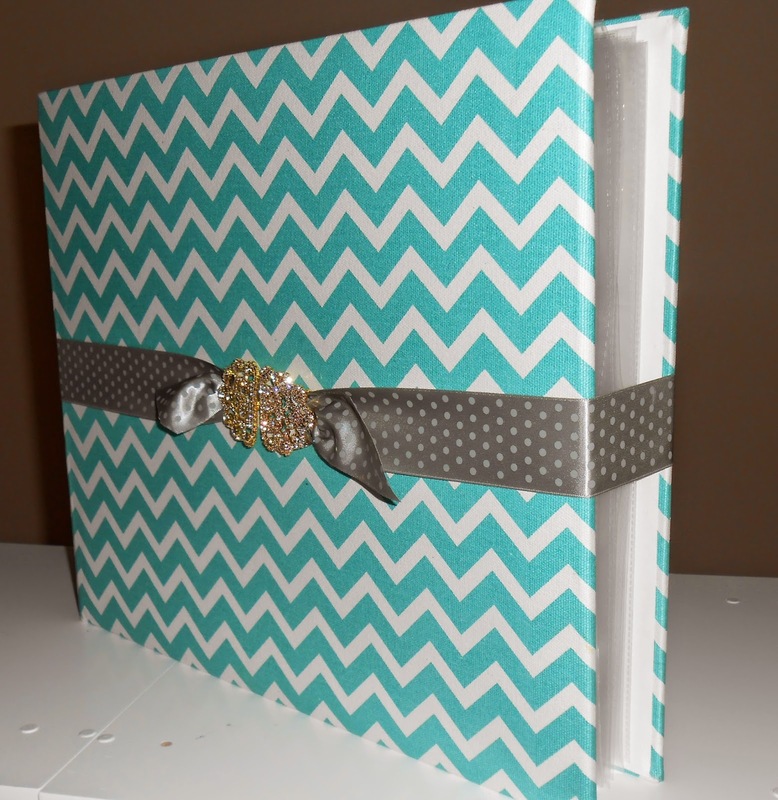 This is the new turquoise chevron pattern, which happens to match CTMH's new Rolling Tote and Shoulder Tote. 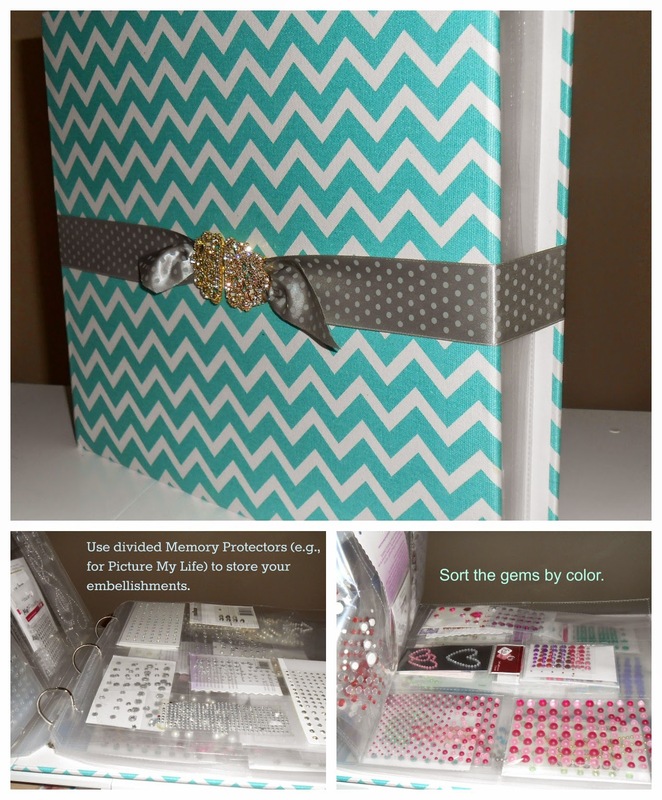 I filled the album with CTMH's Memory Protectors (Designs 1-5) which have pocket dividers in various sizes. I insert sheets of the bling into the pockets, and arrange the sheets by color, starting with clear, through ROYBGIV (red, orange, yellow, blue, green, indigo and violet) to brown and black. Now, of course, I have plenty of these gems -- so soon this album will bulge. To keep the binder closed and the embellishments in place, I made a ribbon belt. This gray -- matching the Rolling Tote and Shoulder Bag as well -- is the retired Satin Polka Dot ribbon also from CTMH. 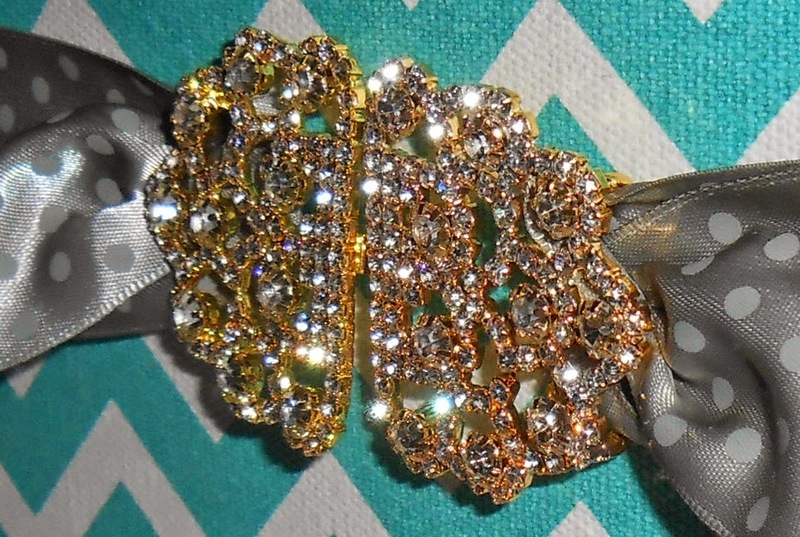 I affixed an adorable blinged buckle from The Buckle Boutique. This buckle splits in the middle with a hook and eye clasp. Perfect! What a great idea and great storage too. Love that ribbon and buckle closure. Great minds think alike! I used to do that, but had gotten lazy and have all of mine in a large organizer. But maybe I should go back to the album, another way to show it off at crops, too! That's is quite a lot of bling! But a wonderful way to keep your things organized I think! If only they had storage options for men's ties and cufflinks in a nice binder like that! Haha!